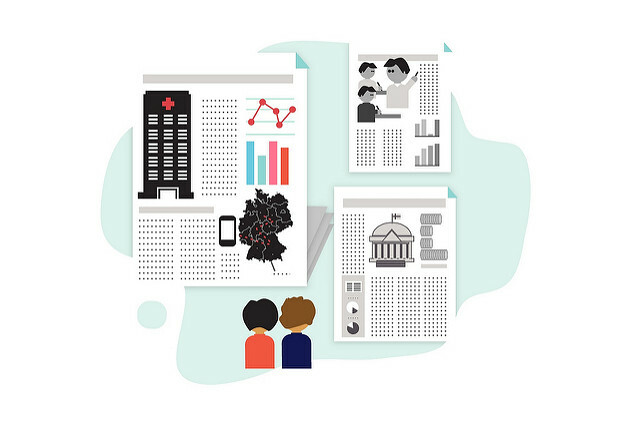 Why do we use Data Journalism? The first thing you’ll need when creating a data visualisation is (obviously) some data to work with. Data can be found from various sources online or collected yourself (using a survey tool like Google Forms, Polldaddy or Survey Monkey). One of the most difficult of processes when it comes to visually data is refining that data and identifying the “story” within it. One of the hardest aspects of data journalism is filtering through the masses of information you can sometimes be presented with and finding the story within it. In this exercise, we’ll take some readily available data published by Bournemouth Borough Council and turn it into a news story, complete with visualisations. Google Fusion Tables has many helpful features, but the most popular by far is its ability to create free choropleth maps (intensity maps) with just a few simple steps. This makes it easy for journalists to visualize and publish demographic data, such as election or population numbers, so that readers can more easily understand the story. A popular way to visualise data is to display it on a map (obviously this will only work if the data contains geographical information), the following exercise shows how to use the Google Maps Engine to easily plot your data on a map. In the ‘Choose columns to position your placemarks’ window, click on ‘Housing market’ and select the ‘Continue’ button. In the ‘Choose a column to title your placemarks’ window, click on ‘Housing Market’ and select the ‘Finish’ button. Now your map is complete, to embed it on a site, first click on the ‘Share’ button under the description and set your map to ‘Public on the Web’. Next, click on the three dots to the right of your title, from the menu that pops up select ‘Embed on my site’ and copy and paste it into the ‘Text’ editor of your post. 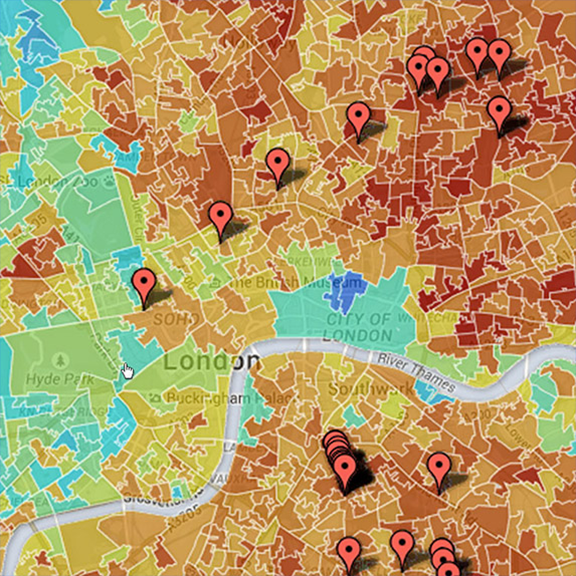 Try another Google Maps Engine Tutorial with two layers of data. Whilst Google Maps will probably be your go-to platform for creating Maps, carto.com offers a few more options you might want to explore if you want to create a more detailed map. Select a template for your visualisation – For this example we’re going to use the ‘Bar’ chart. Add the title Bournemouth Population – by Age to your chart. Open the data and copy all the data in the spreadsheet. Go back to Infogram, double click on the bar chart and in the spreadsheet that appears delete all the current information and paste in your copied data. Style your Chart using the ‘edit data’ and ‘Settings’ tabs. Or close the spreadsheet window and use one of the themes available on the right. When you’re finished with your visualisation, click on the ‘Share’ button in the top right hand corner, make sure you work is titled, select the ‘Publish on the web’ option. Copy the embed code and paste it into the ‘Text Editor’ of the post where you want it to appear. Timelines are a great way of presenting data that happened over a certain period of time. TimelineJS: Create beautifully crafted timelines by simply filling in a Google Spreadsheet, TimelineJS can pull in media from different sources. It has built in support for – Twitter, Flickr, Google Maps, YouTube, Vimeo, Dailymotion, Wikipedia, SoundCloud and more media types in the future. 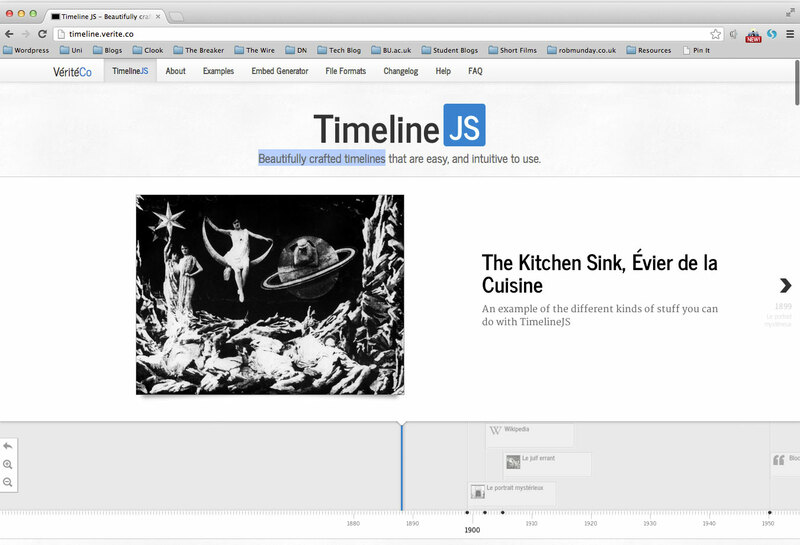 To create a timeline using TimelineJS follow the guide here. 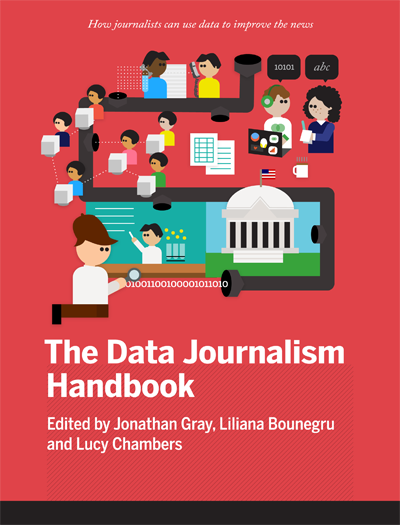 Downloaded over 150,000 times, the Data Journalism Handbook is one of the world’s leading journalism resources, used by students, researchers and practitioners learning about the state of the ever-evolving field of data journalism.